Right: Sale items are sometimes offered at the Marketplace. 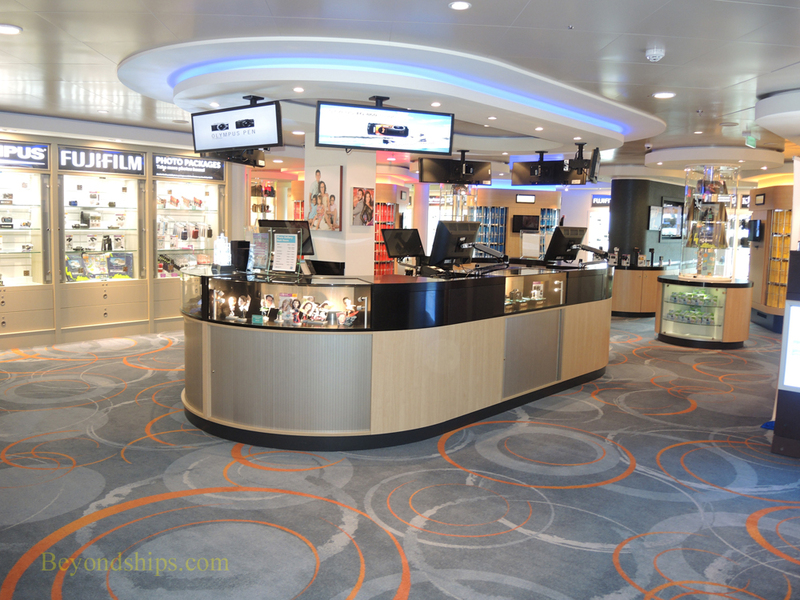 The main shopping area on Norwegian Escape is on Deck 8. 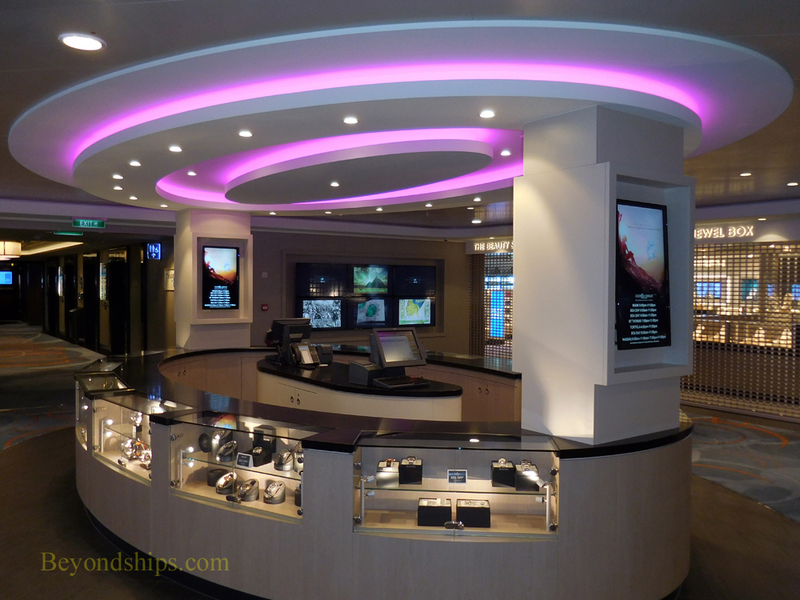 There are two large shops selling jewelry, clothing, souvenir items, and sundries. In addition, there are counters in the hallways selling other items. 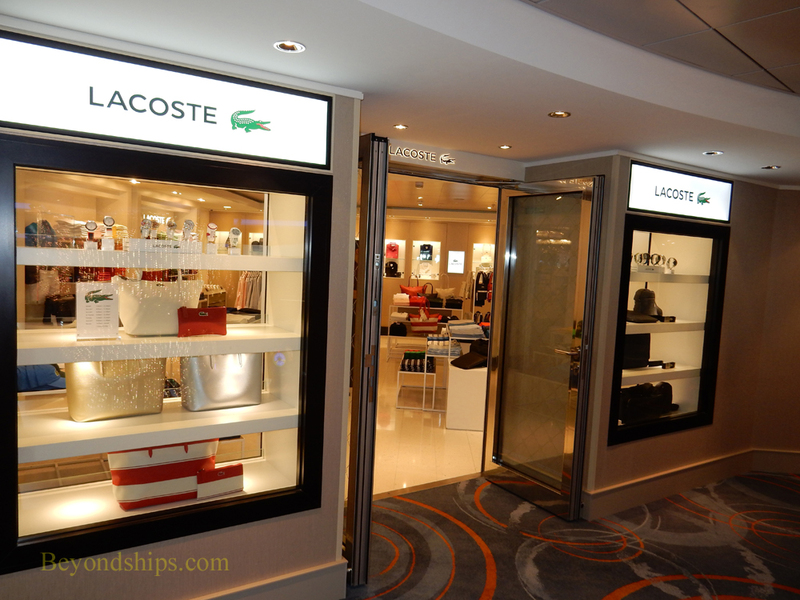 Also, Escape differs from her predecessors by having two name brand boutiques: La Coste and Carolina Herrera. 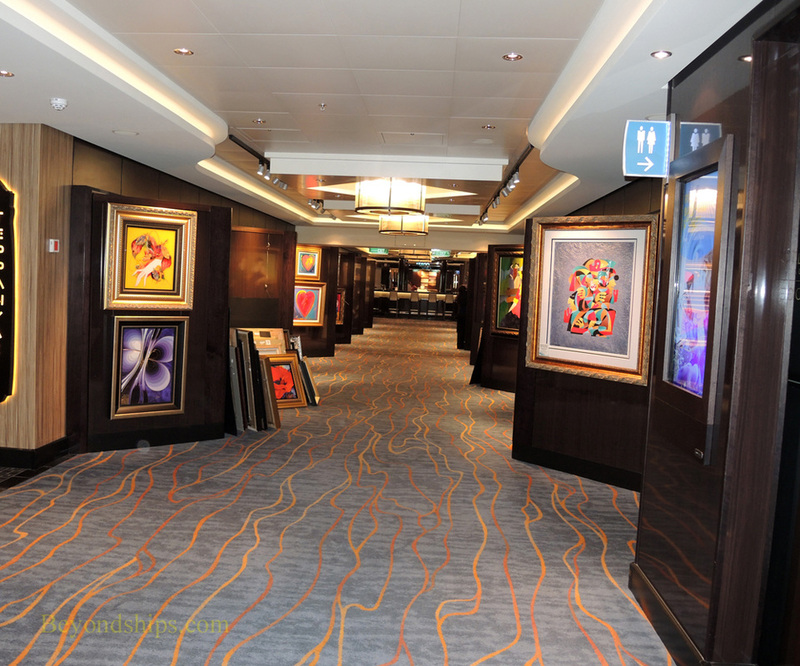 The Art Gallery is along the hallway on Deck 6. 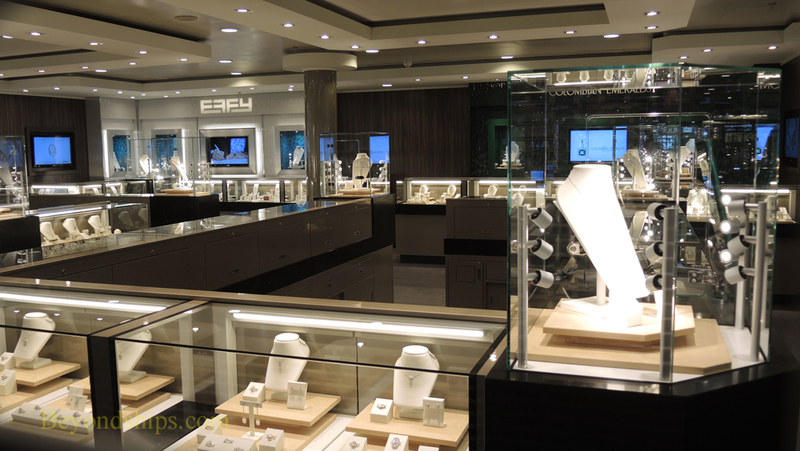 It is operated by Park West, which also conducts art auctions and seminars. 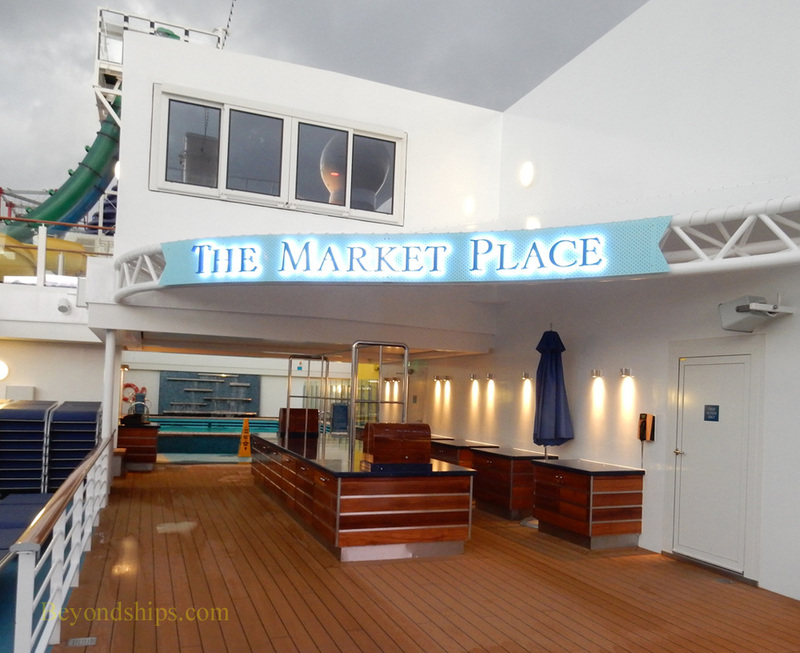 A new feature is the Perspectives Studio on Deck 6 (above). 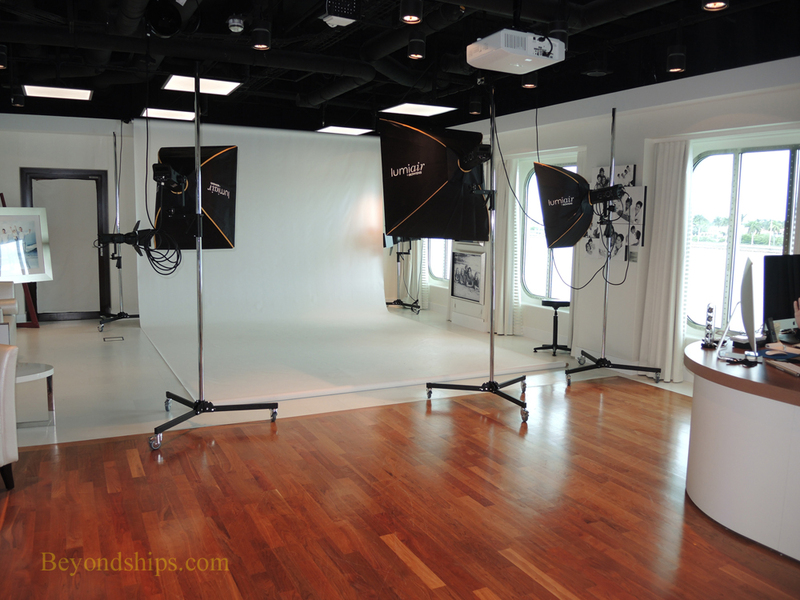 Guests can arrange to have a consultation with a photographer and a private portrait session. 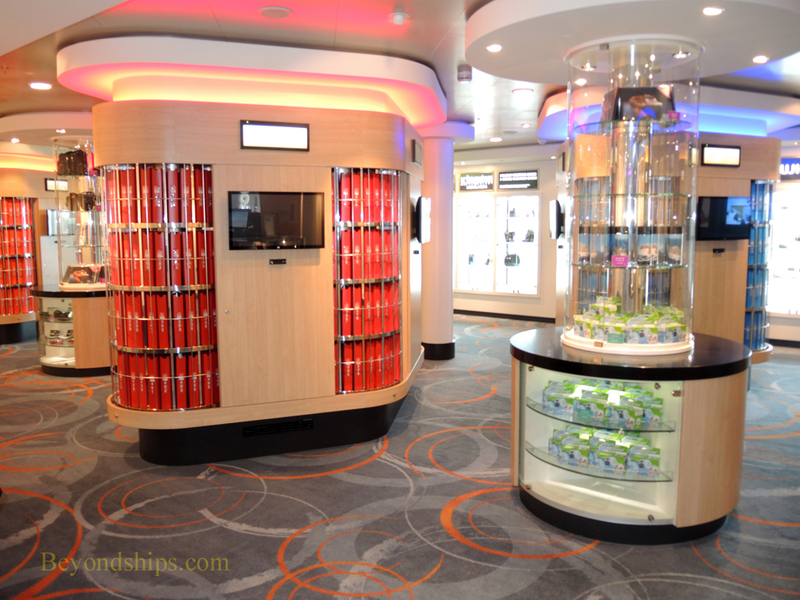 The Photo Gallery (above right and right) sells cameras and equipment as well as the souvenir photos taken onboard and in the ports of call. 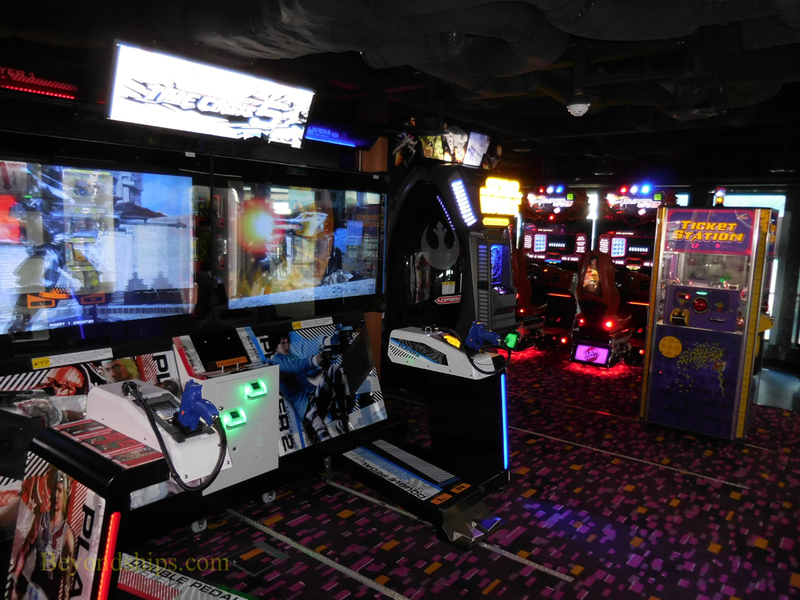 Above left: Escape has a traditional library, which also has tables for playing cards. 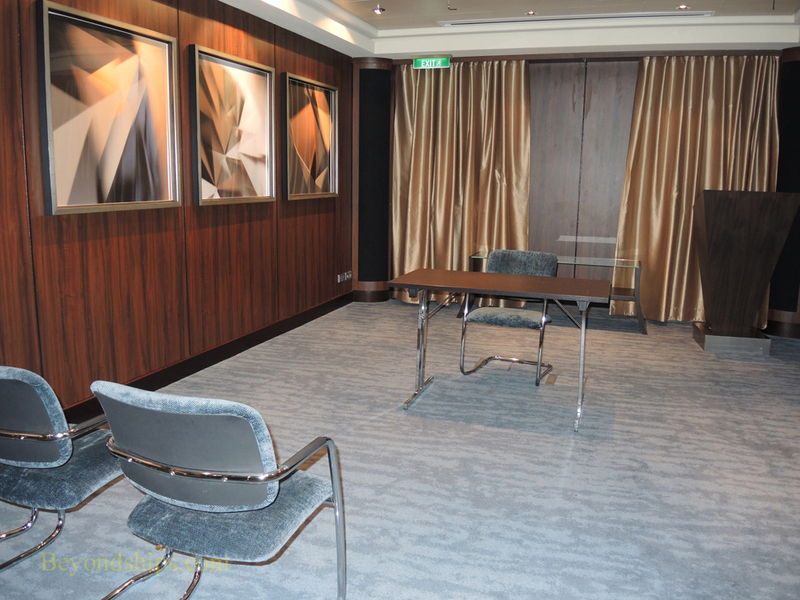 Above right; One of Escape's conference rooms. 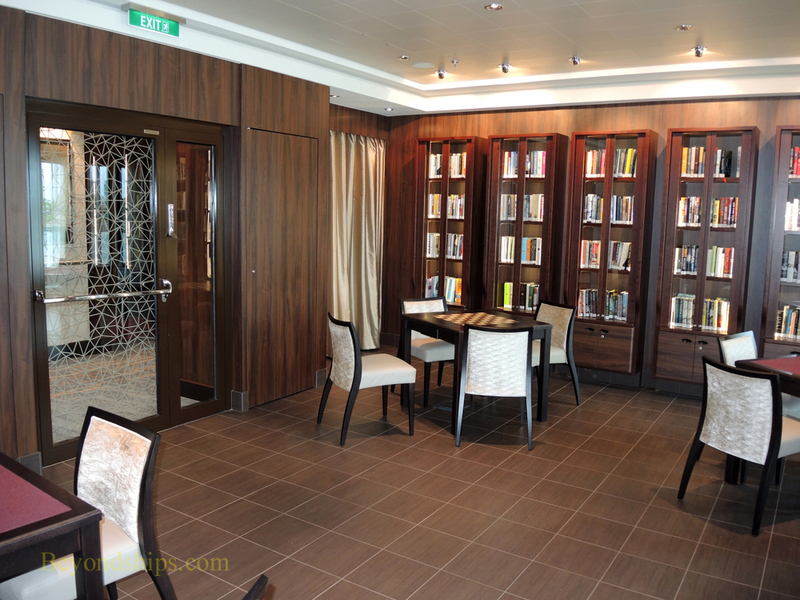 Norwegian Escape is a family-friendly ship and has extensive facilities to entertain young passengers. The Splash Academy on Deck 5 has counselors to oversee the youth program, which is divided according to age. Escape also has facilities for the care of tots six months to two years of age. 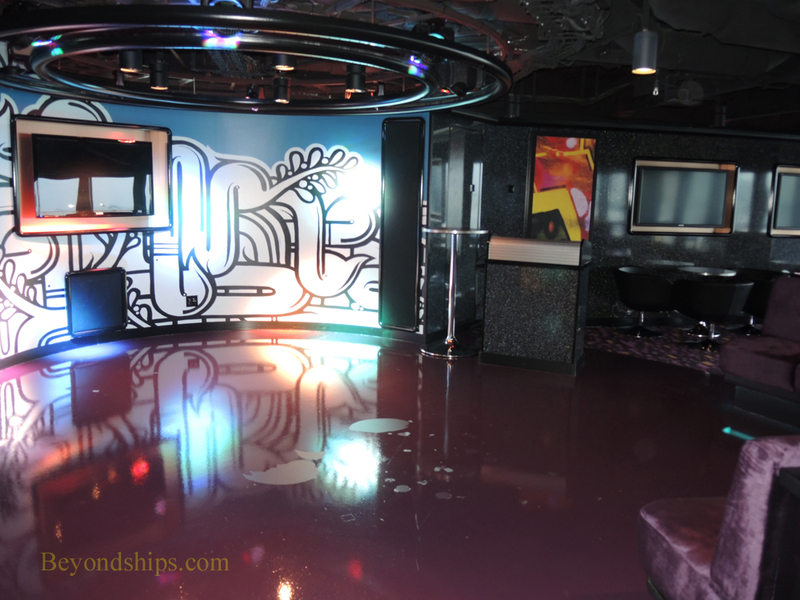 At the other end of the spectrum, teens have their own large lounge on Deck 17 (below). 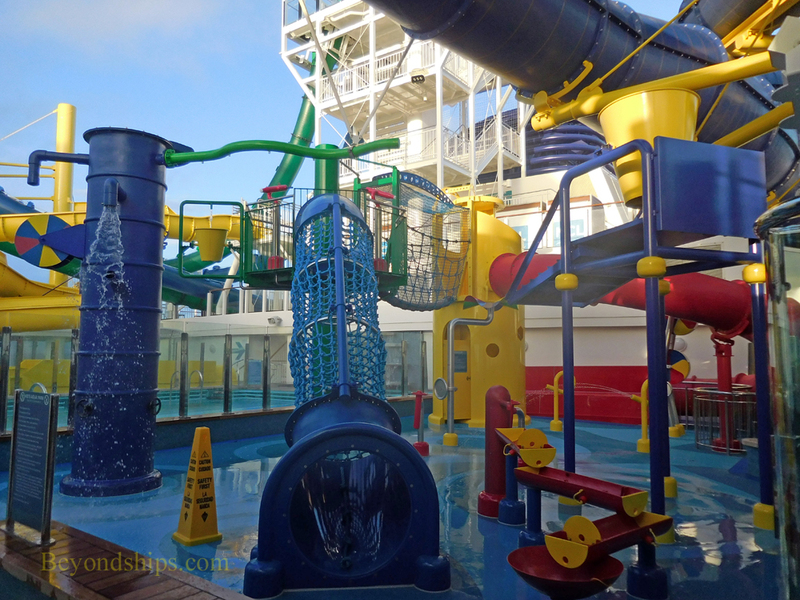 Above: The Kids' Aqua Park.